The Bitterberry Breezer candle is a strong, full & refreshing blend of tart berries with a splash of rum. Think cocktails by the pool. This candle is in a 14 oz MANdle tin (Candles for Men). 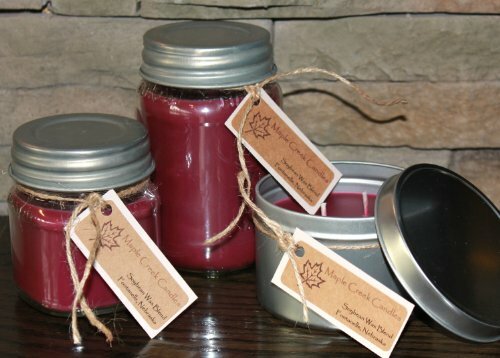 Our candles are available in 16oz jar with rustic lid, 8oz jar with rustic lid, or 14oz MANdle (Candles for Men).